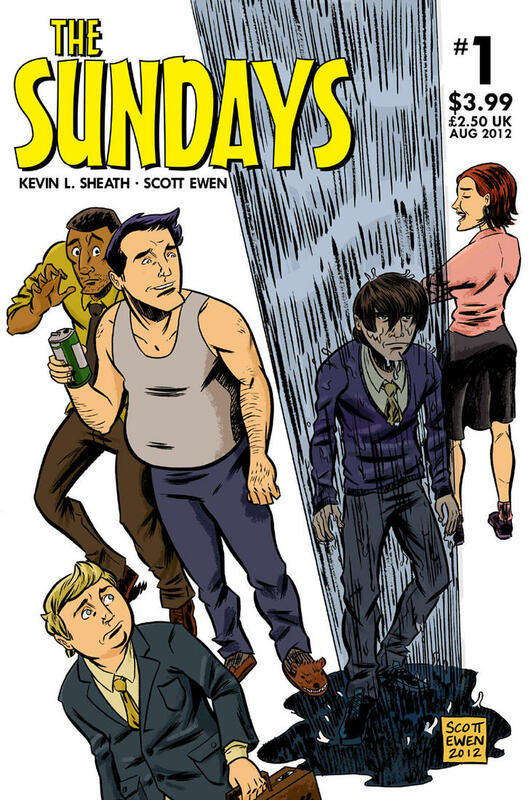 This is The Sundays, a webcomic written by Kevin L. Sheath and drawn by me, Scott Ewen. Page 1 goes up on January 3, 2010, and continues one page a week until we get tired of it. The Sundays is actually a project that’s been many years in the making. Kevin used to do a comic called Intelligent Brian on Angry Naked Pat.com with Jimi Odell around 2001… it was a two-panel comic in which one person drew the first panel and the other would draw the second panel, oftentimes ignoring the punchline set up in the first panel in favor of a non-sequitur, or making a joke based on an inconsequential detail in the first panel. I was a fan, and when Kevin asked on ANP’s message board if anyone wanted to draw some guest strips, I volunteered along with several other people. Eventually Intelligent Brian got its own website, the now-defunct IntelligentBrian.com, and Kevin and I prepared a new webcomic for its launch in early 2003 called The Sundays. It ran for around 80 strips throughout 2003 and 2004, until I went away to the Joe Kubert School and no longer had time to draw it. 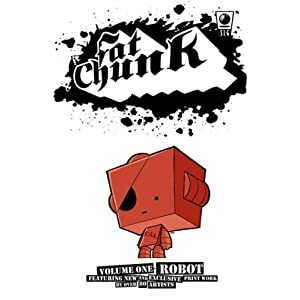 After I graduated in 2006, Kevin rewrote the strips as a comic book and I redid all the art, and we pitched the first issue to every independent comic publisher we could find. They all passed on it, and with good reason. Looking back on it now, the artwork is pretty shoddy but you can watch it gradually get better over the 24 pages. 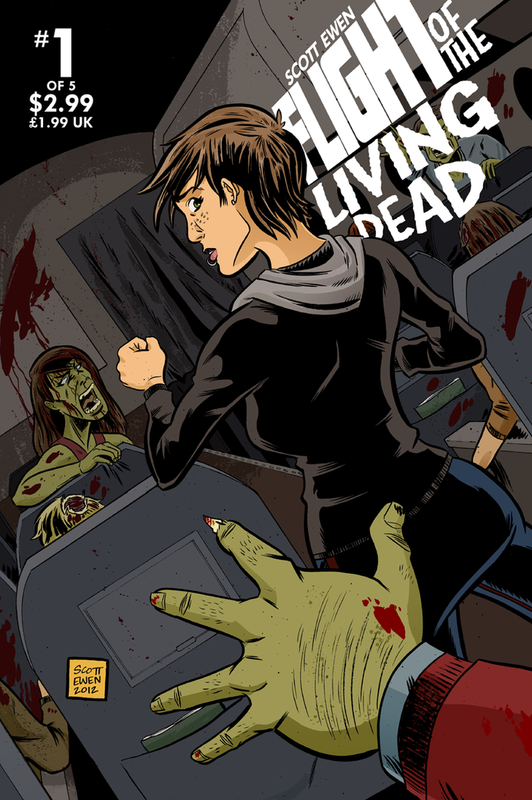 I worked on some other projects, 2007′s Flight of the Living Dead, a superhero comic in 2008 that fell through without being published, and a collaborative webcomic this year called Anchorbird. Recently I decided that more than any other project, The Sundays is really the one I want to be working on, and if no one will publish it, I will do it myself. So Kevin rewrote it from scratch, I redrew everything, we started our own website, and here we are. 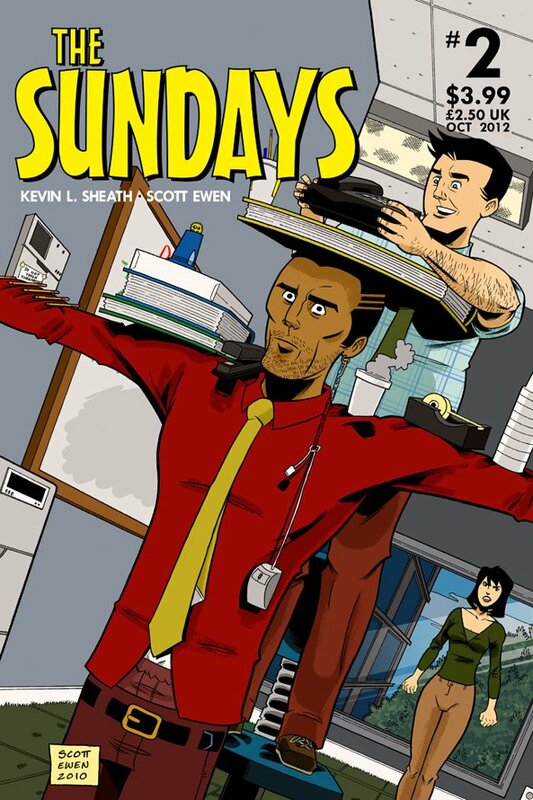 Hopefully you like this comic, because Kevin and I have worked for many years to get it to this point, where we feel like it’s the best version of The Sundays we’ve ever put together. Please add us to your RSS feed, and/or register to leave comments.